Are you experiencing change? Is it regarding business, your professional life, personal life, or all of the above? I’d like you to know this: the people who plan to be their best when navigating change are going to be the most successful. This APPLICATION GUIDE will help you be successful. 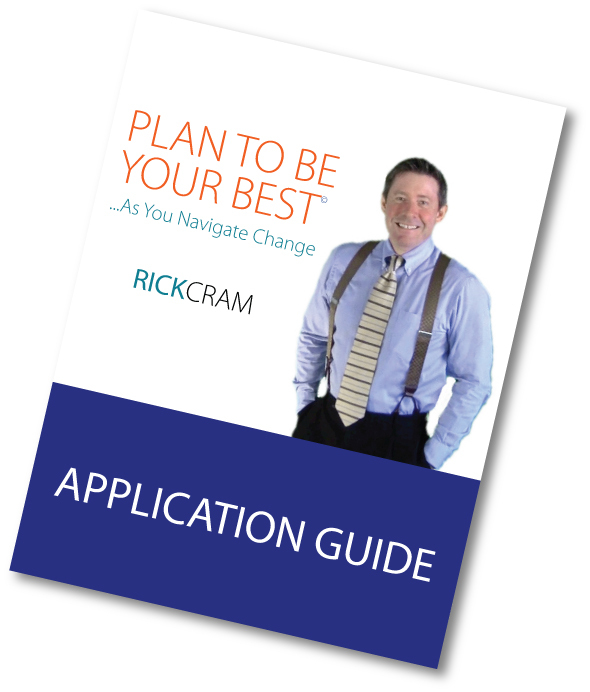 Complete and submit the PLAN TO BE YOUR BEST Assessment questions and get a FREE half-hour consultation call with Rick Cram.